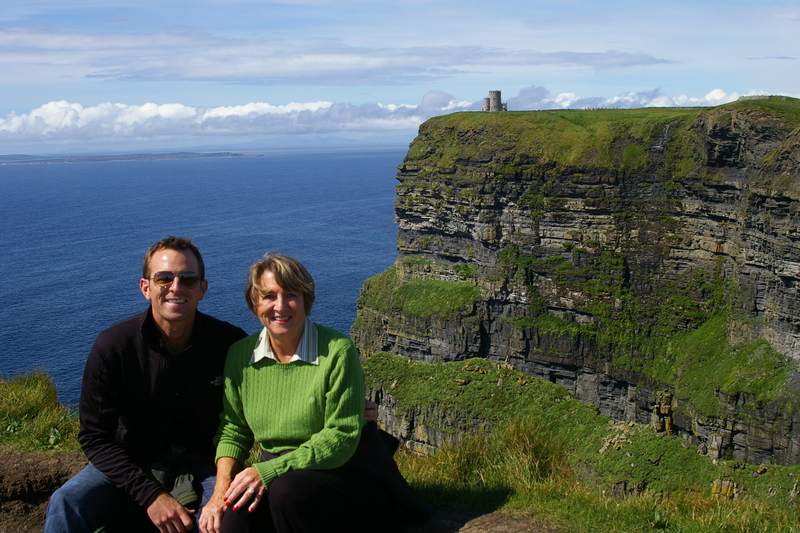 A few years back I took a two-week trip to Ireland with my Mother. I wanted to write a post this week about our trip as a gift to my Mother as she celebrates her birthday on Friday, August, 31st. Happy Birthday Mom, I hope these memories bring you joy on your special day. I must say that one of the most picturesque destinations I have ever visited is the western coast of Ireland. We chose Galway as our “base camp” to explore this jagged coastline for a few days and while we enjoyed the seaside town we loved our excursions where we were able to truly get in touch with nature. 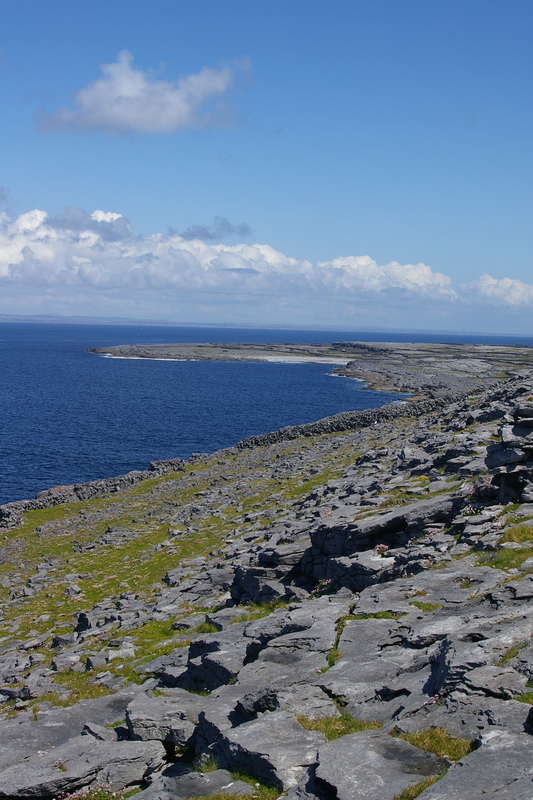 Our first side-trip was a trek over the rough water and rocky ridges to the Aran Islands. 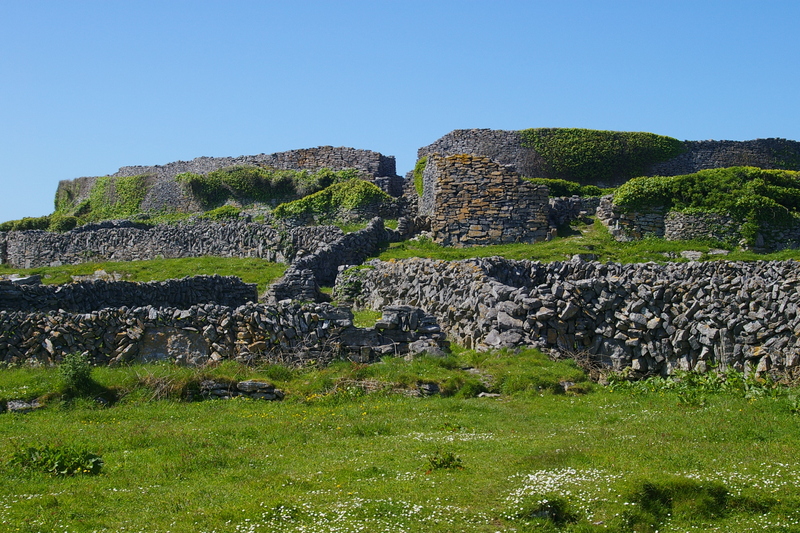 These prehistoric islands have a rich past and today are sparsely populated. The rocky terrain makes it tough to farm the land but for centuries the inhabitants have cleared the land of its’ rocks and built a series of stone fences that create a patchwork of small plots where animals graze and families grow fruits and vegetables. 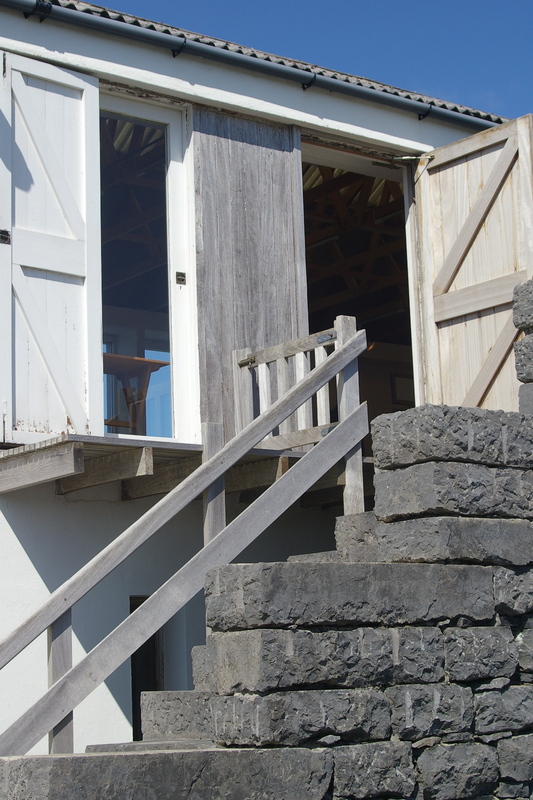 The islands are known for rough weather mostly from high winds and cool temperatures. 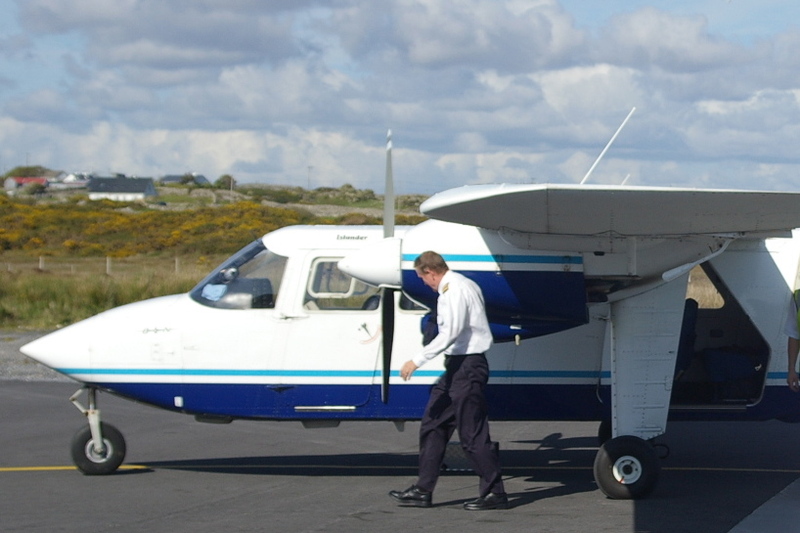 We chose to take a short flight on Aer Aran Islands to visit Inishmaan or Inis Meáin in Gaelge. 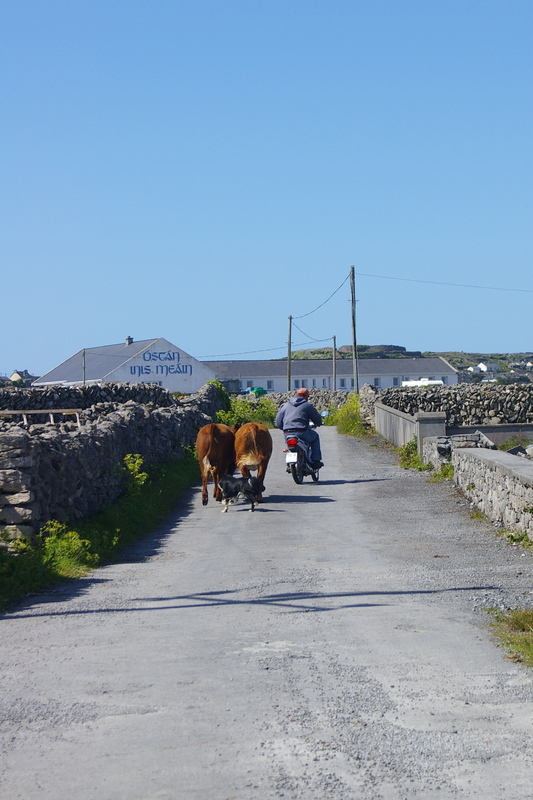 We chose Inis Meain because it is one of the more tranquil and less visited islands and it is also the home of the Inis Meain Knitting Company which has been making the famous Aran Island sweaters for decades. I had to have one. We visited a very small outlet store and learned that they sell to luxury retailers around the world. All of the items are knitted on the island by locals. Needless to say, I bought several sweaters and scarves for myself and the goods from Inis Meain Knitting Company became the “Irish Gift” for my friends and family back home. 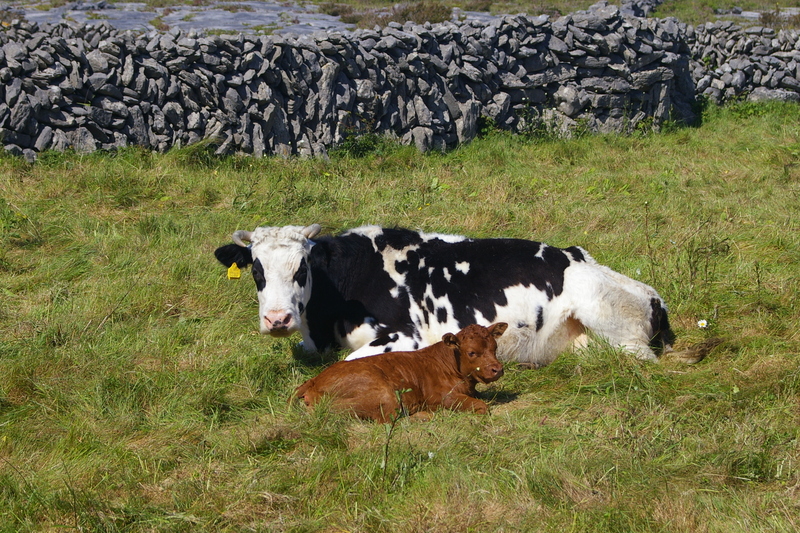 There is really not much to do on the island so we walked the trails and ventured to a point on the island where the famous playwright, John Synge used to write and relax. Once you arrive at this remote location you can see why he chose this point for solitude. We also hiked up to see Dún Chonchúir which is an oval fortress built on one of the highest points on the island, it has amazing views of the Island and the neighboring islands as well. After our day of hiking the island we decided that we were ready to find a place to have lunch. This proved to be a bit more challenging than we expected. We found a small market that didn’t have much of a selection of prepared foods but they let us know that the local pub would open up within the next 30 minutes and that we could get a beer and a sandwich from them. 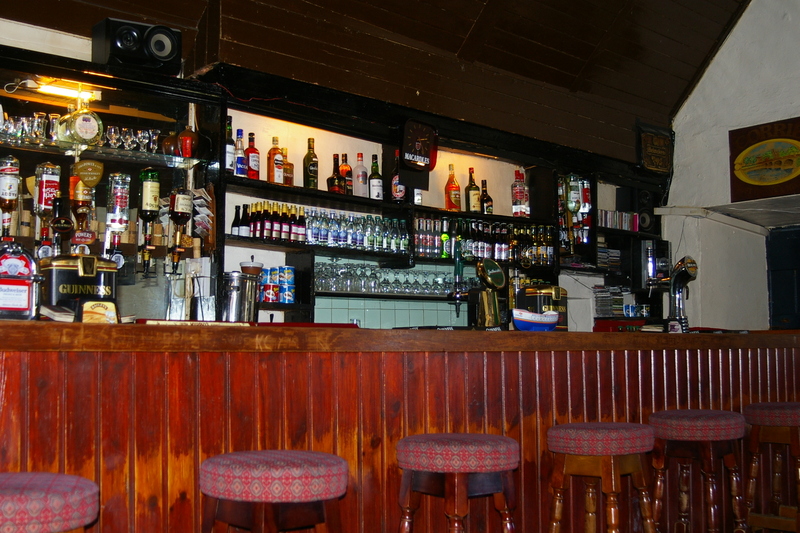 We found the pub and sure enough, a young man opened the pub and said he would remain open for a few hours. We hadn’t yet had Irish beer on the trip so we thought it was the perfect time to give it a try. We also ordered a sandwich which turned out to be a microwaved cheese sandwich with a small bag of potato chips. Not exactly the most fulfilling lunch but we had enjoyed our day and needed some fuel before we headed back to Galway for the evening. 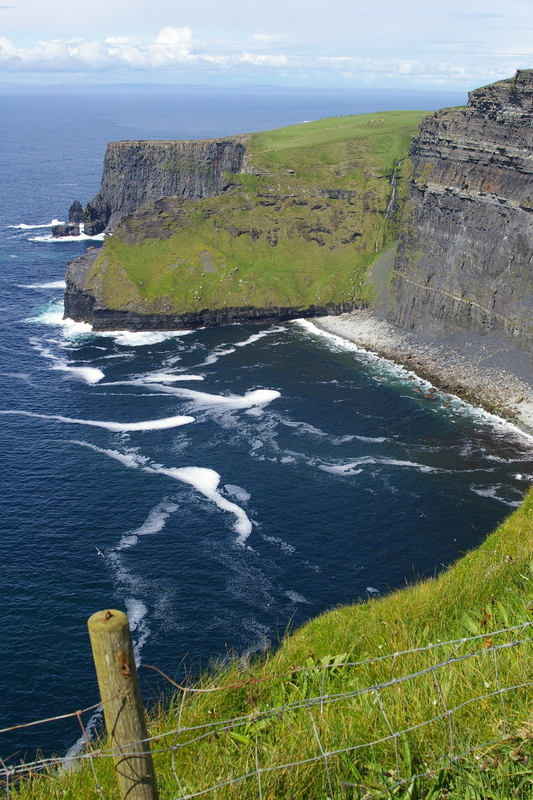 Our second side-trip from Galway was a drive to the famous Cliffs of Moher. Not really sure how to describe the experience of seeing these cliffs along the Irish shoreline on a perfectly sunny day. I have to say that all that I could think was, “this is Ireland.” Stunning. More posts to come on this once-in-a-lifetime trip with my Irish Mother. During our stay on the western shore of Ireland we were lucky enough to snag at room at the g Hotel which was designed by the famous hat designer, Philip Treacy. Modern, comfortable, of course, stylish and equipped with an amazing ESPA. I highly recommend this hotel if your travels take you to Galway. 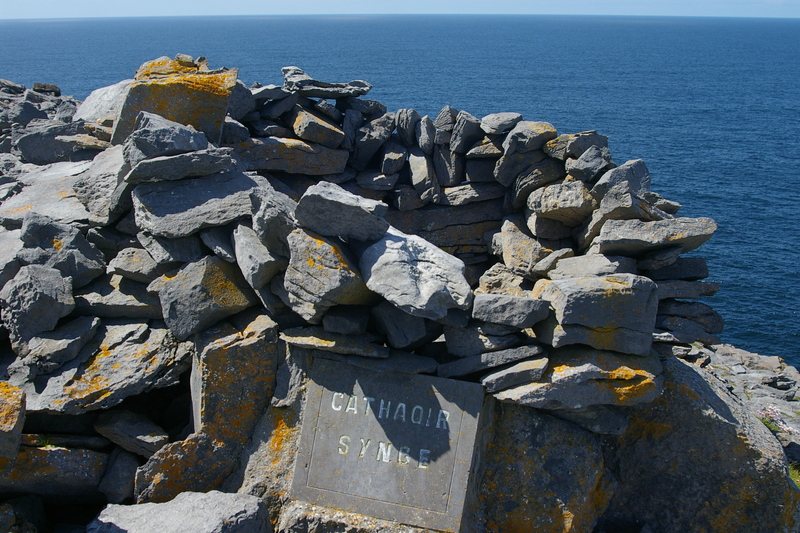 This entry was posted in Ireland, Travel and tagged aran island, Cliffs of Moher, g hotel, galway, Inis Meain, Inishmaan, Ireland, Irish language, john synge, Philip Treacy by The Style Dancer. Bookmark the permalink. Thank you so much for stopping by my blog. Ireland is a beautiful place and my trip with my Mother was a special one. Thanks so much for stopping by my blog. Glad you enjoyed the Ireland post. So glad you enjoyed your visit to Ireland. Hope you come back here again. Great photos!! A trip of a life-time for his Mother. Enjoyed every minute.Beautiful country and people were wonderful. I love the fact that you took your mother along, that is such a beautiful gift for her and wonderful memories for the both of you. I really enjoyed your experience of Ireland; it sounds a lot like The Isle of Man,. I’d love to experience Ireland and especially the local Celtic culture.